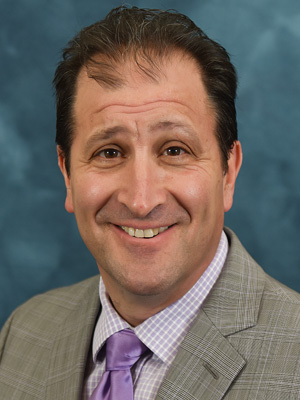 Created by Frederic Kleinbart, MD, the Mercer-Bucks Orthopaedic’s Hip Preservation Program was developed for those patients who are suffering from hip pain but do not need Hip Replacement Surgery. Hip Preservation Surgery is meant to repair abnormal or injured hip joints while preserving the original hip and hip function. The benefits of Hip Preservation Surgery include maintaining the patient's own joint and hip bones, no long term activity restrictions and lower risks of complications than a Total Hip Replacement. Also referred to as Femoro-Acetabular Impingement (FAI) occurs when the ball of the hip joint (head of the femur) does not have full range of motion within the socket. This causes decreased range of hip joint motion as well as abnormal contact of the hip bones that often leads to cartilage injury and pain. The labrum is a piece of cartilage that runs along the hip socket. It provides stability to the hip joint and can become torn due to injury or “wear and tear”. Upon medical evaluation, if you fall into one of the following categories, you could be a candidate for Hip Preservation Surgery. What Are the Hip Preservation Surgical Options? Multiple small incisions, using fiber optic cameras and special instrumentation to repair or reconstruct certain problems within the hip joint. Using a single 2”-3” incision to repair damage in and around the hip joint. This offers more treatment options than hip arthroscopy and may be safer for patients with mild arthritis. With direct access to the hip joint, stem cells can be removed during surgery and used to treat a variety of hip cartilage and soft tissue problems.